Located next to Jabal Rum (Rum mountain) a large camp with traditional bedouin tents and either shared or private bathroom facilities. In the evening enjoy a Jordanian meal of Zarb and watch a Bedouin folklore show of music, dancing and a wedding ceremony. Located in the heart of Wadi Rum, this camp and rest area features a seasonal outdoor pool, and traditional evening campfires and barbecues. 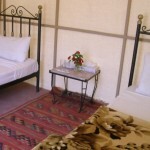 Bait Ali offers Bedouin tents and chalets, some with a private bathroom. The shared bathroom facilities feature modern showers and toilets. Captain’s Desert Camp offers a unique experience in traditional Bedouin tents with clear views of the Wadi Rum landscape. 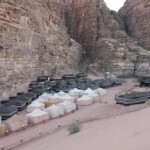 This camp offers an authentic desert experience with classic Bedouin meals prepared daily. 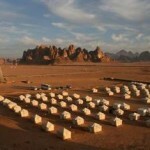 Situated in a stunning canyon in the Wadi Rum Nature Reserve, Rahayeb Camp offers a true Bedouin experience. It has traditional tents with shared or private bathrooms, and common tents, where meals are served. 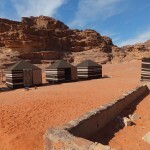 A small camp, only 7 tents, in the Wadi Rum Reserve, private tents with shared toilet and shower, plus a communal tent for dining and socialising. 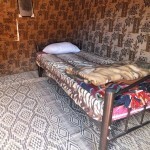 Very basic, but a true Bedouin lifestyle experience. If you’re looking for luxury this is the place to stay – serious glamping! 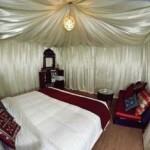 Each tent is furnished with comfortable beds, Bedouin sofa, mirrors, lamps, and the finest bed linens. There is a cosy relaxation area outside the tents to watch the stars at night.